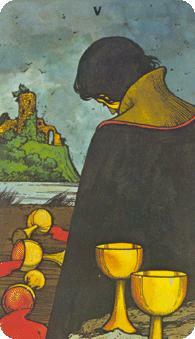 5 of cups – upright, 6 of Wands upright, and 6 of pentacles – upright. Although the upright position of all three cards indicates that it WILL likely be resolved in the next 10 days- that is by 9/12/2013, and with two SIxes involved, probably within six days or by 9/8/2013, it seems that there will be a LOT of disappointment and emotional loss involved – also – CBS will likely get more money, but guess who else will have to pay more? Yes. You and I and the rest of the public will end up paying more- (6 of pentacles). The 6 of wands also suggests to me that some kind of new structure/arrangement has been made between CBS & Time Warner which will impact the larger Television/Cable industry.